The big schools of bull redfish have arrived in Pensacola Bay and they’re hungry. You should have no trouble finding them, just look for boats, birds, and commotion on the surface. Now’s a good time to go flounder gigging, but there’s also been a decent amount caught lately on hook and line. You’ll want to look for them around structure in the lower parts of the bay and near Pensacola Pass. Speckled trout are in a transition right now from the big bodies of water into the bayous, rivers, and canals. For most anglers, they’ll be tough to keep track of until the cold weather sets in. For the first time in a couple of months red snapper will be closed this weekend in both state and federal waters. It will open again next weekend November 25-27 to give anglers a chance to fish for them during the thanksgiving holiday weekend. It looks like we have some rough weather on the way for the weekend, but if you’re going to go after bottom dwellers you’ll want to look for vermillion snapper on big wrecks or venture a little further offshore and fish for scamp on natural bottom. Whiting continue to be the primary catch for anglers fishing in the surf, but there are a few pompano being caught. I would fish mostly with fresh peeled shrimp, but you might want to try a sand flea on one rod just to see if you can get a pompano. 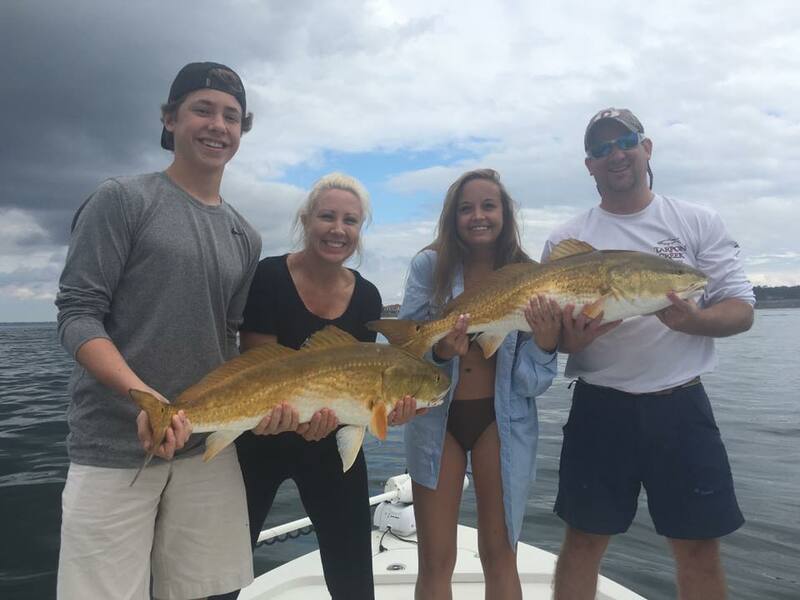 Redfish, bluefish, pompano, and whiting are the possible catches on the Pensacola Beach Gulf Fishing Pier and Navarre Beach Fishing Pier. If you’re going out there it’s a good idea to bring along some pompano jigs and fresh shrimp. The weather is perfect and the bite has been good on Escambia, Blackwater, and Yellow River. It sounds like bass has been the main target for most anglers, but I’m sure you can find some bream if that’s what you’re looking to catch.